MILFORD, NH – Maj. Ronald L. Aveni, USAF (Ret. ), 79, longtime resident of Milford, NH, died on May 6, 2018 in the Hillsborough County Nursing Home, Goffstown, NH. He was born in Nashua, NH on November 19, 1938, a son of Loretta (Gros Louis) Aveni of Milford, NH and the late Louie Aveni. Ron was raised and educated in Milford. He was a graduate of Milford High School, Class of 1956 and graduated from the University of New Hampshire. He served 25 years in the Air Force, both active duty and reserves. He later worked in sales for New York Life Insurance Company and in the real estate industry. In addition, he was a member of the Milford Council Knights of Columbus # 3035, Toastmasters International, Jaycees and had also served on the Milford Schoolboard. Ron enjoyed walking, reading, listening to music and discussing politics. He was an avid Red Sox fan, a history buff and particularly loved the history of Milford. He was a communicant of Saint Patrick Church, Milford, NH. 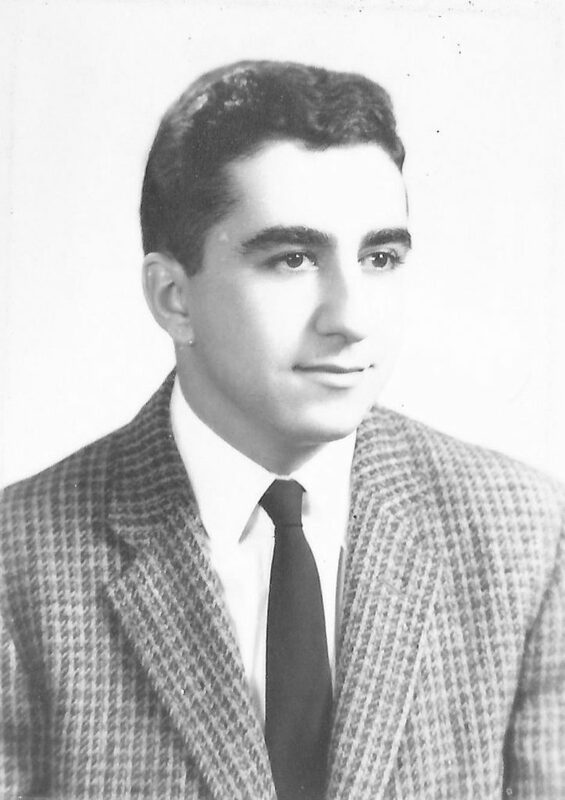 In addition to his father, he was predeceased by his wife of 43 years, Gail E. (Fiedler) Aveni, who died in 2007; a sister, Patricia Ann Aveni; a brother, Robert M. Aveni; and his brother-in-law, Louis Connor. In addition to his mother, family members include his loving daughter, Christine Francoeur and her husband Marc of Hooksett, NH; two grandchildren, Sydney and Colby Flanders and their dad, Dennis Flanders of Merrimack, NH; a brother and sister-in-law, Roger and Celine Aveni of Milford, NH; a sister, Susan J. Connor of Branford, CT; a niece, Tess Rollins and her husband Wes, their children, Connor, Caleb, Cohen and Cooper of Bennington, NH; a nephew, Benjamin Connor and his wife Nadia and their son, Nicolo of Branford, CT; a nephew, Sean Connor and his wife Su, their children Seamus and Claribel of Woodstock, CT; several aunts, uncles and cousins. Memorial visiting hours are on Friday, May 11, 2018 from 5:00-800pm in the Smith & Heald Funeral Home, 63 Elm Street, Milford, NH. A memorial Mass will be celebrated on Saturday, May 12, 2018 at 1:00pm in Saint Patrick Church, 34 Amherst Street, Milford, NH. Burial will be private. In lieu of flowers, donations in his memory may be made to the Alzheimer’s Association, 309 Waverley Oaks Road, Waltham, MA 02452 or to Home Health & Hospice Care, 7 Executive Park Drive, Merrimack, NH 03054. To share a memory or leave a condolence, please go to www.smith-heald.com.